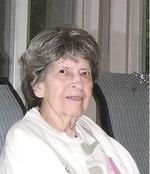 Word has been received of the death of Ethel Simmons, wife of the late Grace Brethren pastor, Phillip Simmons. Funeral services are Saturday in Worthington, Ohio. Obituary information appears below. Ethel Joyce Simmons, born August 23, 1914, faithful follower of Jesus since childhood, teaching children of Jesus in Grace Brethren churches. Husband, Pastor Phillip J. Simmons (died 1986). Children: Joyce Ann Farner, Bernard Lee Simmons, Roger Jackson Simmons, 10 grandchildren, and 14 great-grandchildren. Funeral Service 10:00 am Saturday, November 30, 2013 at RUTHERFORD-CORBIN FUNERAL HOME, 515 High St., Worthington, OH 43085 where family will receive friends 6-8 pm on Friday. She was a godly woman who loved the Lord and others deeply. I remember her making puppets for the Operation Barnabas teams and her being a faithful prayer warrior. In her younger years I recall being in their home. She was always so hospitable and warm and caring. She makes Heaven richer. I never met Mrs. Simmons personally, but I have heard a great deal about her. Her husband Pastored at the church when I am pastoring now (Listie Grace Brethren) many years ago. She and her husband were remembered for their kind spirit and godly living. She will be greatly missed.